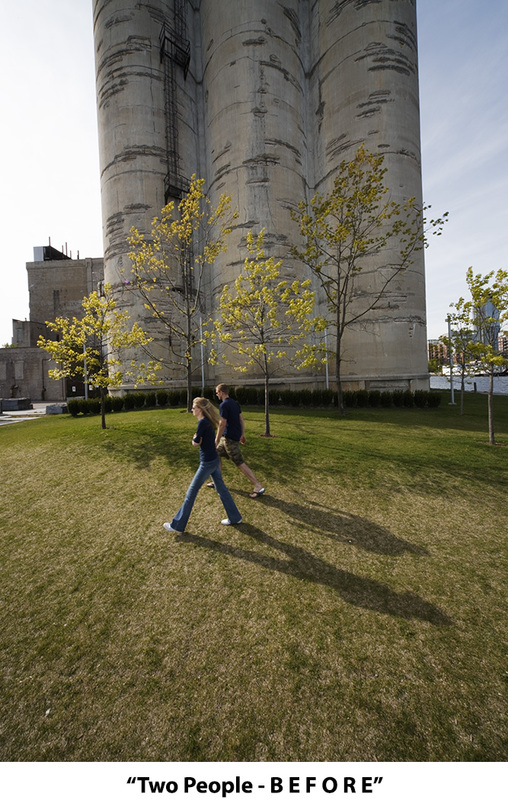 A young couple, the woman with arms crossed, neither person looking at the other, strides across a lawn on the Toronto waterfront in 2008. Their shadows trail behind and an abandoned grain elevator, screened by four small trees, dominates the background. The ingredients are in place for a thought-provoking photograph, but there is work to be done. The BEFORE image is tilting to the left. This is easily corrected. Straightening the image forces me to crop it, which is fine because there's too much empty foreground in the BEFORE shot. I want the two people and - just as important - their shadows to be more prominent. So I crop the image even more, from the bottom. I want to create a mood - or rather, enhance a mood I see as being already present in the initial image. I see two people looking disconnected and uncommunicative. (Was that the real story? Who knows? It doesn't matter!) 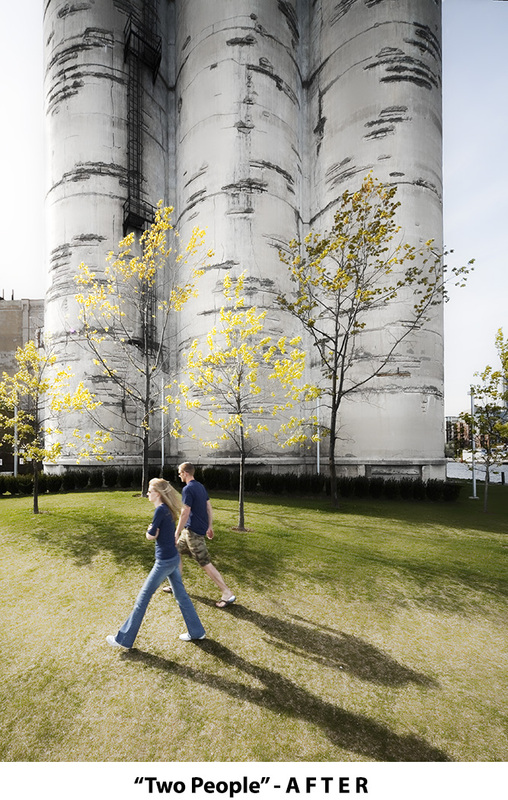 The grain elevator, now appearing larger after I cropped the image, hovers over the scene. The trees, though colorful, look frail and scrawny. The two shadows loom large. I also do tone curve adjustments on the bodies of the two people to bring out detail lost in the BEFORE image.